When you are told that your Dad has three or four months to live it rocks your world. Tony Brown was diagnosed with Pancreatic Cancer in May 2015 and was told by his specialists that he has three or fours months to live. 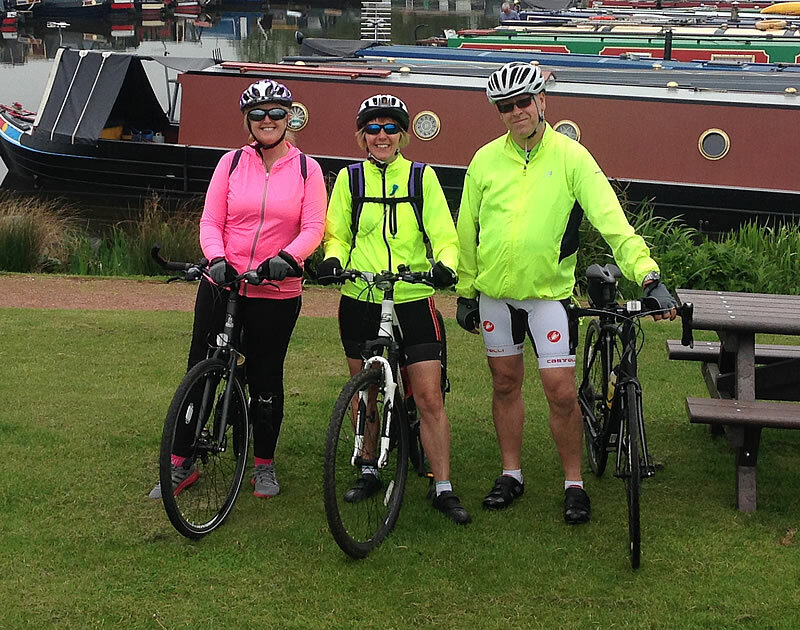 After the initial shock, Sally has decided to raise money for Pancreatic Cancer UK. Lichfield Dolphins raises money every year for a charity so this year it's for this worthwhile cause. What are we going to be doing? What is the Treading of which you speak? Every year, Sally & Bob, the owners here at Dolphins try and do something a bit different for charity. In 2013 we walked part of the Great Wall of China for the Teenage Cancer Trust on behalf of Stephen Sutton, in 2014 we sponsored one of our teachers, Martha, to go out to Malawi and in 2015 we had already decided that we were going to ride in the Derby Sportive in September but didn't have a charity in mind. Oh yes, Treading is a slang word for cycling in case you were wondering. To make things a little bit tougher, we have decided that we will try and ride 1,500 miles before the sportive in September, as a team and not individually! The pancreas is a large gland situated deep in the abdomen (tummy) in between the stomach and the spine. It is about 15cm (6 inches) long and shaped a bit like a tadpole. The widest part is called the head, which lies close to the duodenum (small intestine) on the right side of the abdomen. The middle part is called the body and the thin part is the tail, which extends towards the left side of the body, next to the spleen. The pancreas is both an exocrine gland (produces enzymes) and an endocrine gland (produces hormones). It has two main functions. It makes pancreatic juices containing enzymes that help to break down food so that the body can absorb it. This digestive juice flows through a series of ducts (tubes) into the main pancreatic duct which runs the length of the pancreas. This duct transports the digestive juice into the duodenum. The exocrine cells that produce and transport enzymes are called acinar cells (see diagram below). Both of these functions can be affected if the pancreas isn't working properly. Pancreatic cancer most frequently occurs from the ducts within the pancreas (ductal adenocarcinoma) but can also occur from either the exocrine or endocrine cells. Depending on exactly where they begin to grow cancers behave differently and cause different symptoms. Read more about Pancreatic Cancer. Pancreatic Cancer UK is the only national charity fighting pancreatic cancer on all fronts: Support, Information, Campaigning and Research.